St. James Plantation is an exceptional coastal North Carolina community ideal for golf loving retirees. Set on the shores of the Atlantic Ocean, St. James Plantation enjoys a prime location in Southport, North Carolina. This gated golf community features the best in resort-style living. Its impressive amenities include four spacious clubhouses, multiple golf courses, fitness centers, restaurants, a marketplace and a full-service marina. St. James Plantation was opened in 1991 and is still under development, with plans for approximately 5,000 homes. The community is open to residents of all ages, yet its mild climate and exciting line-up of amenities make it an ideal choice for active adult retirees. 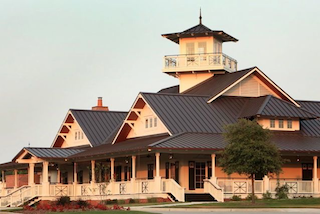 There are four different clubhouses within St. James Plantation, each with their own golf course. These include: the Reserve Club, the Founders Club, the Members Club and the Players Club. Residents throughout the community can choose to join any of these clubs and dine at any of the clubhouse restaurants. Each clubhouse has its own particular appeal. The Reserve Club is the newest clubhouse. It features the Reserve Club Grille, as well as a wine room, bar and fire pit. Its 18-hole golf course, created by Nicklaus Design, is the most challenging course in the community. The Founders Club also offers an 18-hole championship golf course. Its additional amenities include the Founders Grille, a golf pro shop, an outdoor swimming pool and six Har-Tru tennis courts. 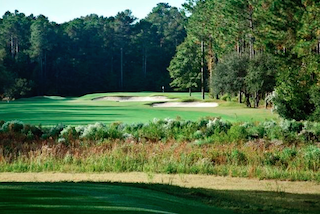 St. James Plantation offers 81 holes of golf and four distinct clubhouses to consider joining. At the Members Club, the fully equipped fitness center includes an indoor swimming pool and sauna. The clubhouse also offers the Members Club Bar & Grille, a pro shop, two Har-Tru tennis courts and the community's only 27-hole golf course. The Players Club also features a fitness center, as well as the Players Club Grille, an outdoor swimming pool, two Har-Tru tennis courts and an 18-hole golf course. The Regency Dock provides a great place for fishing as well. Beyond the impressive clubhouses, St. James Plantation offers additional amenities. The marina and marketplace features charming shops, a restaurant and tiki bar, a fishing area and a full-service marina with over 100 boat slips. Just ten minutes away, residents also have exclusive access to St. James by the Sea, a private beach with a picnic area and a resort-style pool. Homes at St. James Plantation include both condos and single-family designs. Residents who want low-maintenance living can choose a stylish condo just steps from the marina and marketplace area. The Condos at HarborWalk offer single-level homes arranged in two-story buildings. Sized from 1,848 to 2,042 square feet, these homes include three bedrooms and three bathrooms. Single-family homes are available in many different styles throughout the community, with floor plans ranging from 1,280 to over 3,000 square feet. These versatile homes typically feature two or three bedrooms, two to three bathrooms and two-car garages. Active adults looking for a resort-style retirement destination in Coastal North Carolina are sure to be impressed by the upscale amenities and beautiful homes in St. James Plantation.